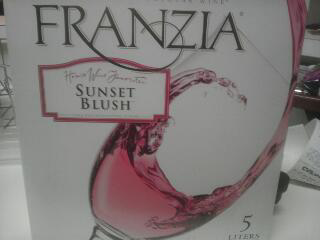 Franzia Sunset Blush... Still a good buy. Still tastes great. Still gets a Good Rating! Out for wings the other day at Pluckers in the Village at Allen. Watched football and baseball games... Had a beer or two as well as their House Red. 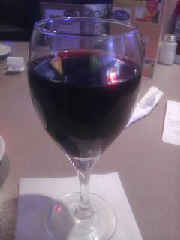 A Merlot that gets a Good Rating! 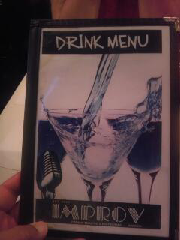 Was at the Improv in. Addison, Texas to see Comedian Christopher Titus. Funny guy... Had a great time! Tried their House Red. It gets a Good Rating! 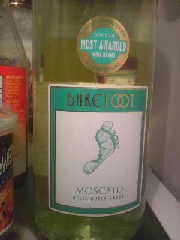 Barefoot Moscato earns a Good Rating again! Still cannot beat this for taste and price! New one that we have not tried before. 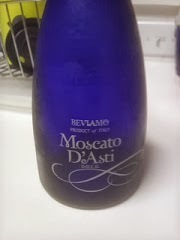 An import from Italy, it's a Moscato called Bevlamo Moscato D'Asti. Both Winos agreed to purchase this one again, so it gets a "Good Wine Rating"! Tasty wine that is sweet with a 5.5% Alcohol Content. 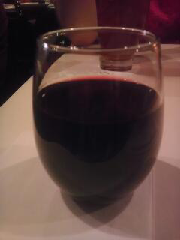 A little light for the Red Wine Wino but still will buy it again!